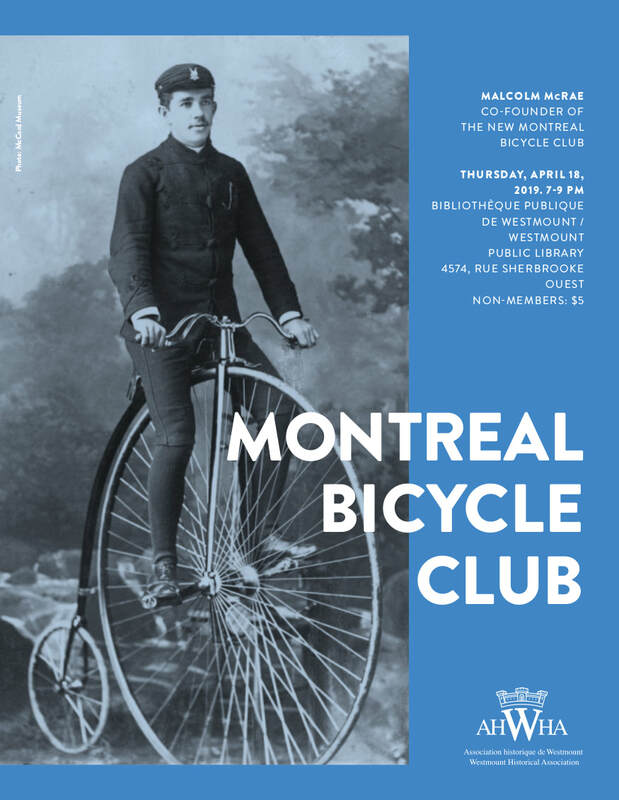 The following presentation on the Montreal Bicycle Club was given April 18, 2019 at the Westmount Public Library for the Westmount Historical Association. Welcome to the history of the Montreal Bicycle Club. I feel that the theme of change is particularly appropriate for a talk about what was one of the first cycling clubs in North America, founded at the start of the High Wheel era. The members of this club saw the bicycle change from an elitist sport available to few, to a worldwide movement that made the bicycle available to almost everyone. By the end of the 1890’s bicycle craze, it was one of the best known bicycle clubs on this continent. It hosted the last world cycling championships of that era, an event that had many far reaching consequences. After the initial bicycle craze finished, this club, as well as almost all of the other founding North American cycling organizations went into a steep decline which actually resulted in their demise. As a result of this demise, much of the cycling history of that era has became forgotten in the popular imagination. Today, the world is at a crossroads with environmental issues being a hot topic of conversation. Urban transportation and the bicycle are at the center of many of these debates. At its beginning, this machine was a symbol of modern technology, and offered the promise of speedy travel. Today, it is a symbol of environmental activism, and offers the promise of sustainability in travel. Indeed the bicycle, as well as steel rail transit are the two most effective modes of transportation for reducing GHG and the effects of climate change. 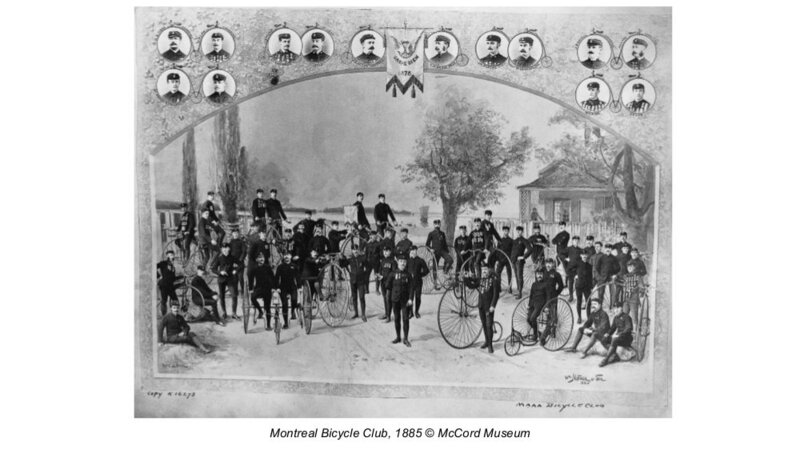 Who were the people in the Montreal Bicycle Club and what are their stories? In order to answer that question we should know that the bicycle did not arrive in this world as a single invention. There were many forms before the modern style “safety bicycle” emerged in the 1890’s.